Today not only marks the beginning of summer but it just so happens to be the inaugural International Yoga Day. The weather was perfect for celebrating the Summer Solstice as many Torontonians gathered at the Distillery District for a full day of free yoga classes organized through omT.O. As a V.I.P. guest, I partook in the first class of the day lead by @Jelayna_in_yoga of Yoga Tree using mats provided by B Yoga. This was the first time I had experienced outdoor yoga and I couldn't be more grateful to be able to share in the experience. The sun slowly began to peak through the overcast skies while dozens of birds twittered overhead. A welcome breeze served as a reminder to focus on our yoga breaths as we saluted the sun in unison. Following my first yoga class, I visited some of the booths and enjoyed free samples from Flow, Giddy YoYo and U-Be-Livin-Smart, who makes the best-tasting health candies I have ever tasted. I even purchased a Karmawear cover up that was on sale at the Flow Active booth. What a great way to get your yoga on! Namasté! Love your photos. Looks like it was a lot of fun! Fun event! Love the photos.....miss my city! Looks like fun! There was some controversy here in BC when the Premier was going to shut down a main bridge in the Vancouver core. 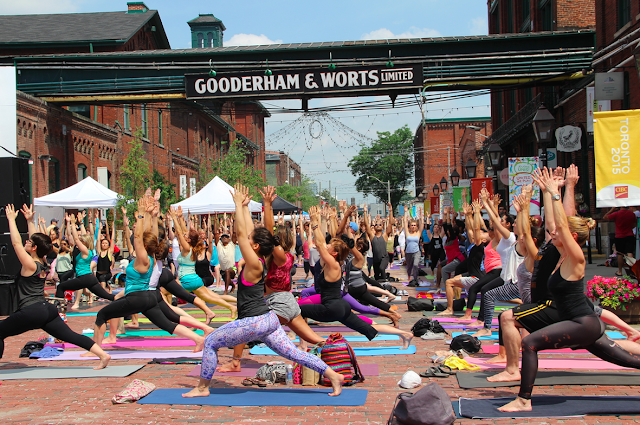 It's so cool that you guys were able to do yoga in the Distillery District. I love going there. This must have been awesome in the Distillery District. So beautiful there. This looks fantastic! Def didnt know there was such a thibg! 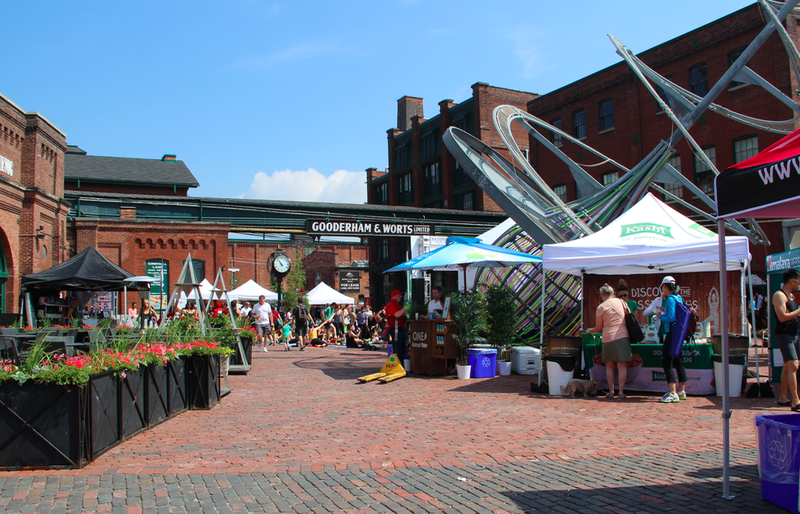 Gonna see if they have something like this in my town! Thanks!